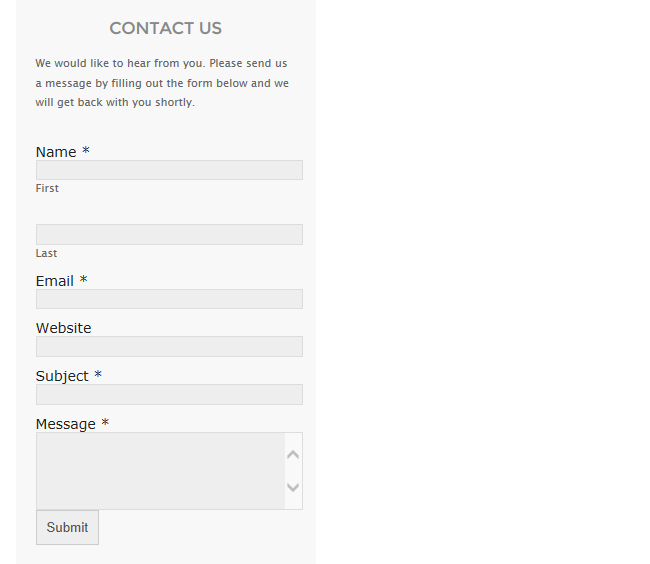 The Formidable Form widget is used to displays a Formidable Form in your sidebar without the need to add any code. Refer to the Formidable Forms plugin support page for more information on setting up and using Formidable Forms. Title: Allows you to add your own custom title. For example, Contact Me. Form: Use drop down menu to choose which Formidable Form you want to add to the sidebar. Description: When selected it displays the Formidable Form description. Fit Select Boxes into Sidebar: When selected it fits the select boxes into the sidebar. 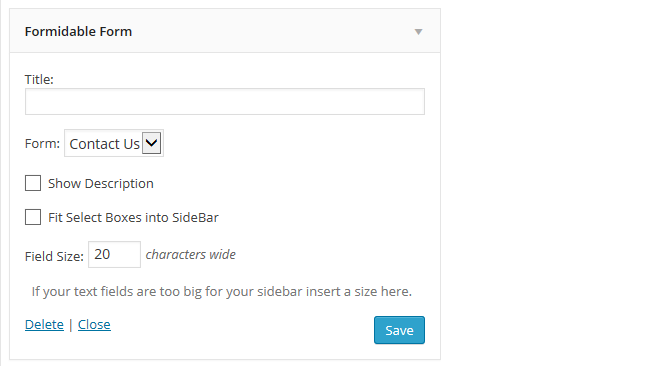 Field Size: Controls the character width of the fields on your form.